When we think of these two words most of us would conjure up words like pretend, fantasy or words associated with fairy tales and childhood. As children we knew better. Make believe is a powerful mindset that can change our own reality and our world. “Make. Believe.” is a powerful two step formula for making dreams come true. When we stop to make a representation of something that we deeply desire – whether in our mind or in a simple ritual or routine we anchor the vision powerfully in the universe. Our making becomes our prayer. We can make a drawing, create a visual representation of something we desire, or write out the words as a mantra or affirmation or even create a dream collage. When we take the time to dream and create the dream through our actions we are inexorably led to create it in our reality. The choices we make about the routines and actions we take create our world. The second part of the magic formula is vital. We have to fully believe that what we are making with our mind and our routines and symbolic actions is real. The belief in the reality of our making is the fuel that powers up our vision. 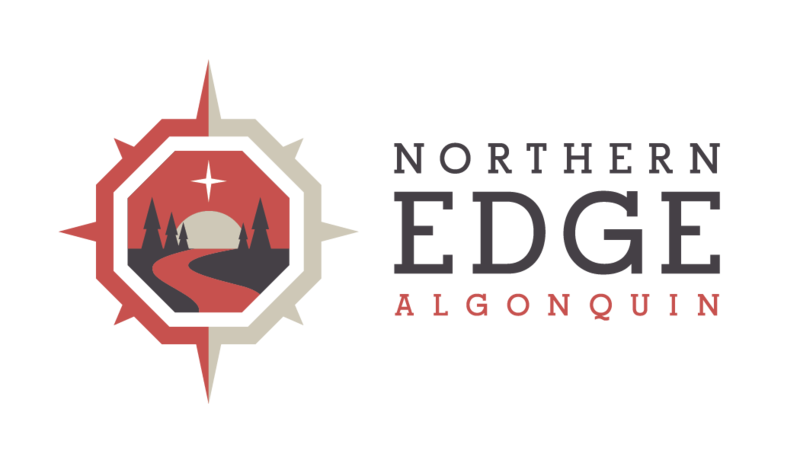 A number of weeks ago, it became clear that at Northern Edge Algonquin we desired more space for our guests to connect, share, dine and celebrate. We also want our guests to comfortably connect with our natural landscape. I began dreaming of how we could expand our dining room space into the lakefront garden. be safe, with LED lighting to mark steps and different levels for use after dark. What might it look like? I had no idea. We began preparing the site for a deck, harvesting and replanting existing garden and clearing the space. And we waited for the vision to become clearer. Then our summer intern Erin Jackson arrived. Erin is involved in all aspects of our business this summer and she began her internship attending a social entrepreneurship conference in Sudbury the first weekend in May. As we sat around the table sharing stories on Erin’s early days at the Edge we learned her conference used a metaphor of honeycomb and sharing honey as a way of supporting one another’s projects. You may also know that at the Edge we are just beginning our third summer with two bee hives. It struck me like a bolt out of the blue clear sky. The deck was to be our Hive. Maybe it could look like honeycomb – formed of hexagons that gradually stepped down towards the lake. Erin offered to create hexagons out of paper and we quickly put them together on the dining room table to see what it might look like. We established how the different levels would step down from one another so we wouldn’t have to include too much space for stairs. As the pieces came together it became clear – we were going to do this. What we were making on the table with little pieces of paper would become our reality. If it was possible . . .
We got out the measuring tape and stuck markers in the ground. I walked around the space and imagined what it might look like in reality. I began doing some crude architectural drawings on the computer – really just measuring out the size of the base hexagon and Gregor determining what dimensions of wood we required. I still wasn’t sure. I’ve never seen anything like the proposed hive deck in the “Real World.” The drawings were shared with guests and staff to gain their insights. Everyoneseemed genuinely excited about the idea. Martha wrote the affirmation on a piece of parchment. We protected it from the elements and took a few moments to bury it along with a frame of honey and honeycomb from our bee hives. We have anchored our vision for how our guests, family and team will use this space. The Vision Unfolds in Reality. A few weeks later and the Hive is nearing completion. Gregor Waters and Tyler Arsenault have led the construction with myself and Eric Jalonen lending a small hand. In a few weeks we anticipate the deck to be regularly filled with guests enjoying a variety of experiences, close to nature at the lakefront. Our Make. Believe. is becoming reality.